Cooking oil is essential to almost any meals. It provides moisture, depth, fat, flavor, richness, and prevents food from sticking to our cookware. But just as most good things in life, not all cooking oils are created the same. We need different oils to create different flavors in different meals, sometimes we need it to hold its heat for certain preparations, and sometimes we need it just to save ourselves some future elbow grease when washing up. How do we know which oils to use? When to avoid? And what oils provide benefits when not only using it for cooking but ingesting as well. 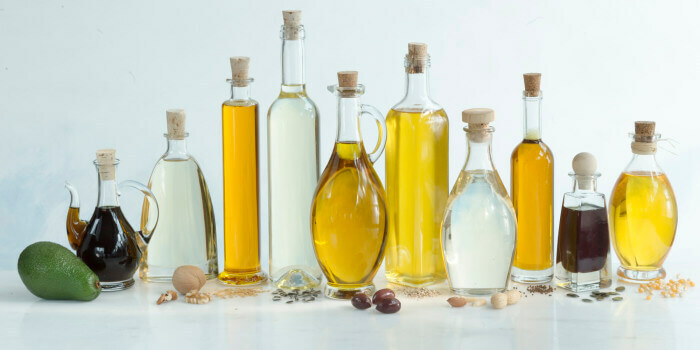 Here we’ll do a quick, crash course on some of the most important oils you need stocked in your kitchen pantry, when to use what, and when to avoid using certain oils. Olive oil wins by a long shot when it comes to packing flavor, benefiting our body’s and providing heart protecting monounsaturated fats but did you know that most of the benefiting plant compounds and structure are destroyed once heated? Extra-virgin olive oil is extremely fragile when it comes to heat and light, as it has a smoking point of just 320 degrees Fahrenheit. It is best to use this oil raw and at room temperature, rather than for ‘cooking’ purposes. When purchasing, opt for “cold-press”, this means no heat was used in the process of extracting the oil from the olive to preserve not only taste but all the beneficial enzymes and antioxidants. Also make sure to buy olive oil that is kept in a dark bottle since it is sensitive to light. Enjoy this oil drizzled over salads, veggies, pastas, and bread. Lightly brush fish, poultry or meat with it before cooking. If you decide to cook with olive oil, only quickly sauté to preserve all the goodness this little gem has to offer. Canola Oil offers the most versatility when it comes to uses in the kitchen, this oil also holds the perfect balance of ‘healthy fats’ that a cooking oil has to offer. Canola oil is rich in heart healthy monounsaturated and omega-3 fats that doesn’t degrade as easily as its rival, olive oil, to high heat. Another added health bonus is that it is low in saturated fat. Over the decades, as canola oil’s demands have risen, the method of growing and extracting the oil has drastically changed to a toxic and health degrading process. The use of pesticides on canola crops has soared and the uses of chemical solvents or high-speed extracting has given the commercially, cheap oil a bad rap. Personally, when choosing canola oil, opt for organic, cold-pressed if preserving all the goodness this oil has to offer is important to you. 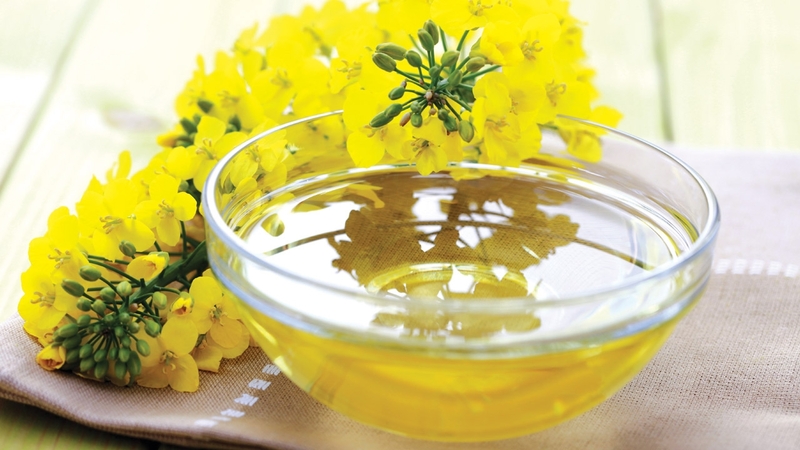 Canola is a great choice for cooking, baking, sautéing or frying. It has a neutral-taste that won’t make its presence known in food. Providing a great nutty taste, avocado oil is an excellent partner to add to salads, use for stir-fries, marinates, roasting, grilling and searing. Avocado oil has a high smoke point, so all the beneficial compounds this oil has to offer can hold together. This oil contains 50% monounsaturated fat, is an excellent source of vitamin E, and aids in the absorptions of other quality nutrients. Avocado oil definitely deserves a spot in all kitchen pantries! This vegetable oil is an excellent choice for frying, sautéing, grilling, or stir-frying. It has a light and mild taste, a high smoking point, doesn’t absorb the flavors of other foods and holds its beneficial structure well. Peanut oil is low in saturated fat and high in monounsaturated, the antioxidants, vitamin E and phytosterios, which promote and protect heart health. When choosing peanut oil, it is best to choose unrefined which is also known as Gourmet Peanut Oil. Refined peanut oil is highly-processed, bleached and deodorized but with this process the allergen is removed making it non-allergenic. Coconut oil has definitely been in the spot light for the last several years, and with reason. It’s an excellent oil to use for sautéing, baking, roasting, light frying, and stir-fry’s as it has an extremely high smoking point and a slight coconut flavor. Coconut oil will solidify at 75 degrees or cooler, but when temperatures reach above this it liquefies, making it easier to work with when it comes to things like baking. There’s much controversy over the high saturated fat content that coconut oil contains. 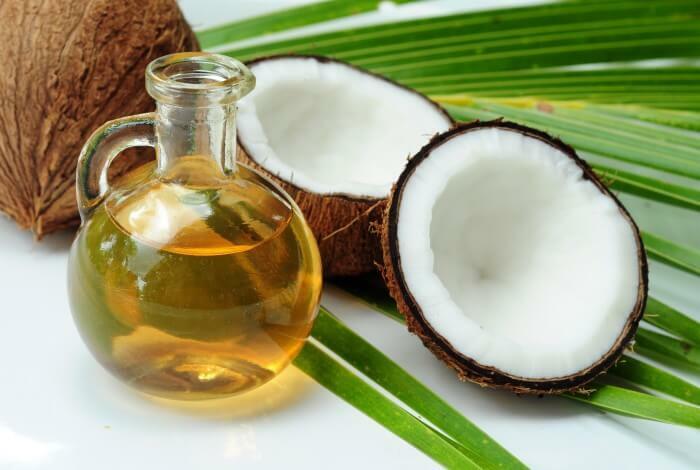 Research has proven that the body metabolizes the saturated fat from coconut oil much differently. The body turns the fatty chains into energy, rather than storing it, so it truly works for you rather than against you in terms of health. It’s best to choose extra virgin, cold-pressed coconut oil as this is coconut oil in its most natural state, which will provide you and your cooking with endless amounts of health benefits. Another thing to keep in mind, when the label states ‘odor-less’ this signifies that it went through a process to remove some of its beneficial components, usually a chemical process. Opt for coconut oil that still contains its odor and is unrefined; your body will thank you. Not all cooking oil is created equal….. Cooking with oils aren’t necessary bad for you or your health, it’s all about quality and quantity. It’s wise to not over-indulge, drench or saturate our foods in oils, but rather use just enough to provide your food with whatever you’re seeking: food to be non-stick, add flavor, balance, structure. Enjoy the weeping benefits of these oils, because remember, some fat is GOOD!